Ahead of the anticipated launch of a new Apple TV with support for ultra-high resolution 4K video content, Apple is said to be caught in a contract dispute with movie studios, who want to see iTunes prices for 4K films exceed $20. Apple typically charges around $19.99 for new high-definition movie releases, available in up to a 1080p resolution. But for the jump to 4K, studios want to see Apple charge $5 to $10 more, bringing prices potentially as high as $30 for new releases, according to The Wall Street Journal. The ongoing negotiations are likely in the midst of crunch time, as Apple is gearing up for a Sept. 12 event where the company is expected to announce a new Apple TV with 4K and HDR, as well as an "iPhone 8" and "iPhone 7s" lineup, and new Apple Watch with LTE connectivity. On the technical side, Apple has been gearing up to begin providing 4K content through iTunes. But what it will charge for that content remains a mystery. Not all studios are pushing for higher prices, however. While one executive who spoke with the Journal said they wouldn't tell Apple how to price their iPad lineup, a separate unnamed studio representative noted that Netflix subscribers already receive streaming 4K content for $12 per month, making a $30 movie purchase on iTunes a tough sell. 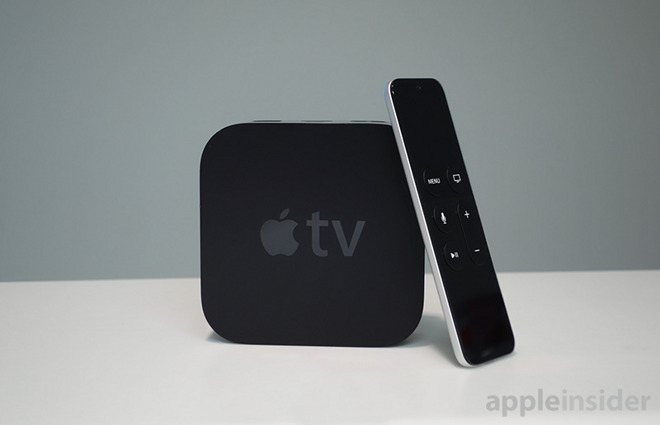 Earlier this month, lines of code discovered in Apple's HomePod firmware revealed the tech giant is working on a next-generation Apple TV that boasts support for 4K video and HDR in both 10-bit and Dolby Vision formats. The information fell in line with a February rumor claiming the hardware refresh carries the codename "J105," a designation most recently seen in the seventh iOS 11 beta release.